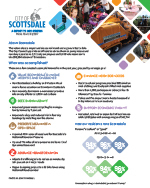 The performance management program is an organization-wide initiative to measure, analyze and report on the performance of the services provided by the City of Scottsdale. 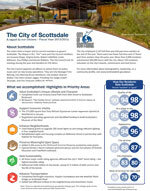 Scottsdale's Performance Management Program is on the What Works Cities Certification Honor Roll! The quarterly performance report provides progress updates regarding key performance measures included in the annual budget book. Quarterly updates are also provided on the organization strategic plan . The City Manager's Office prepares an annual report to our citizens (PDF) consistent with the AGA's citizen-centric reporting initiative . The short report is intended to give citizens a better understanding of their government and provide a more meaningful debate about fiscal priorities, performance results and future challenges. We have given a presentation (PDF) about our annual report and how it is prepared. An overview presentation (PDF) based on the annual budget and annual report is available along with documents on that are included in the annual budget and updated each year. Performance information is included in the annual budget at the division and department level. In addition, ten years worth of data on selected indicators is included in the comprehensive annual financial report. 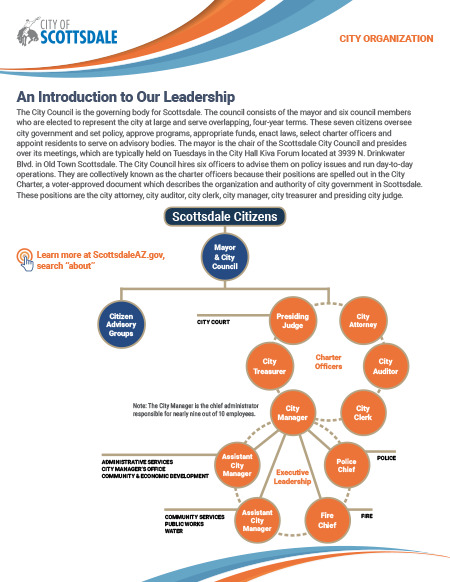 Both documents, as well as an archive of prior year information is available at www.ScottsdaleAZ.gov/finance. The citywide strategic planning effort (PDF) is part of the performance management initiative. The current organization strategic plan was approved at a council meeting in September 2017. Updates on the progress of the organization strategic plan are on this online dashboard and on the Mission and Priorities page. This was a 2-hour course prepared for staff in FY 2012/13 to provide training on key concepts in the Strategy and Performance Management initiative. This was a hands-on course prepared in FY 2013/14 to assist department management in identifying efficiency and effectiveness measures that are tied to customer-focused outcomes. This is a 3.5-hour course taught quarterly to city staff in FY 2014/15 to provide training on strategic planning, performance measures, evaluation and reporting. This 6-hour class was updated in 2017 to teach how to define results, achieve results, review results and improve results. An abbreviated 3-hour version was presented to the Mandela Washington Fellowship class hosted at Arizona State University in July 2017. These presentations on citizen surveys were prepared for an ICMA workshop (PDF) ICMA workshop in October 2012 on how Scottsdale utilized survey results, and also for general presentations in 2011 on 2010 survey results (PDF). A presentation on internal services survey results was also given at the ICMA Conference in September 2015 (PDF). The 2016 Citizen Survey has been completed with more information available on the survey web page. This 3-hour course (PDF) was developed in FY 2015/16 to train managers in how to align employee goals in the annual performance evaluation with the citywide mission. 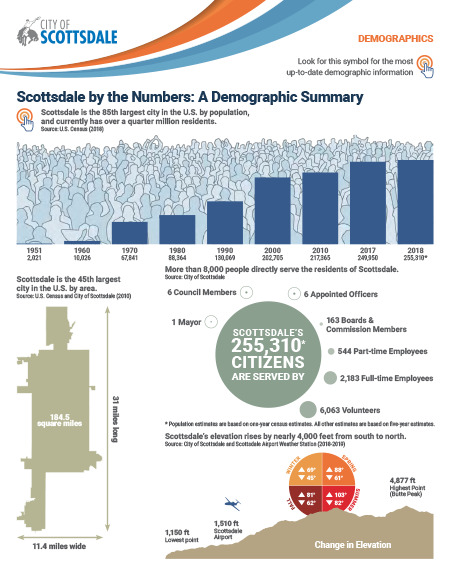 Scottsdale helped form the Valley Benchmark Cities group, a collaborative of the 11 largest cities in the Phoenix metropolitan area to share and compare information for the purpose of improving local government performance. The initial report was issued in September 2015. 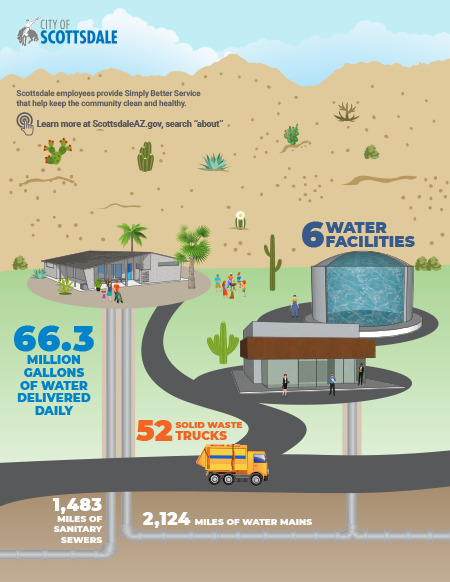 A presentation about the effort was given at the September 2015 ICMA Conference in Seattle (PDF), and an article about the effort was included in the December 2015 edition of ICMA's PM magazine. A presentation was also given at the GFOAz May training session on the effort (PDF). In March 2017, this presentation (PDF) was a guest lecture to graduate students at ASU about managing and measuring performance. The city manager's office presents monthly to new employees (PDF) an orientation about the city and the organization, including mission and goals. In addition, presentations are regularly given to local groups such as Scottsdale Leadership. What is performance management? 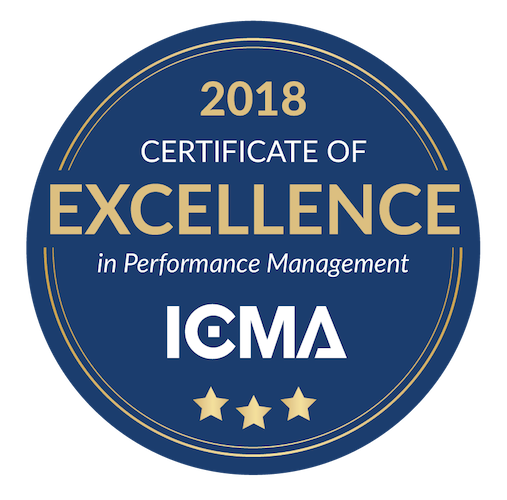 Performance management is an ongoing, systematic approach intended to improve results by integrating objective evidence with decision-making processes. 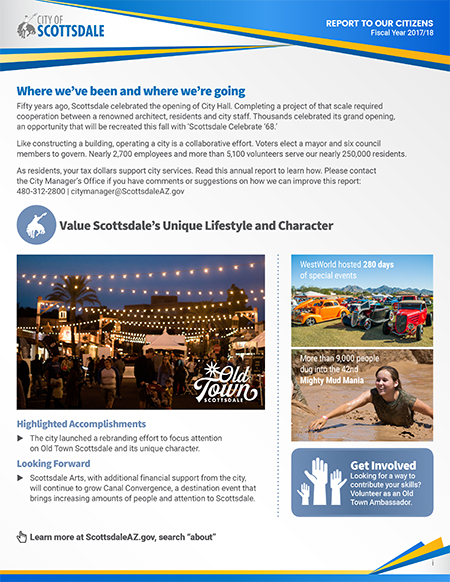 Annual "Report to Our Citizens"
Behavioral Insights Team Report - "Scottsdale Cares"
Other external resources helpful in developing an performance management program. A Performance Management Framework for State and Local Government, National Performance Management Advisory Commission, 2010. Lessons from Performance Measurement Leaders, Shayne Kavanaugh, GFOA, 2013. Transforming Performance Measurement for the 21st Century, Harry Hatry, Urban Institute, 2014 . Surfacing the Submerged State with Operational Transparency in Government Services, Ryan W. Buell, Michael I. Norton, Harvard Business School, 2013. Performance Management: Getting Started, Center for Government Excellence. Good to Great and the Social Sectors, Jim Collins, 2005. Municipal Benchmarks, David N. Ammons, 2012. Reinventing Government, Ted Gaebler and David Osborne, 1992. The Three Signs of a Miserable Job, Patrick Lencioni, 2007. ICMA and National Research Center, Inc.